Implementing effective outreach is easy, but from the examples I see in my email inbox it seems that some find it difficult. Here are a few tips I have learned over the years. Everything else is mechanical and about the process you use to implement the activity. I do feel that this should not have to be explained, but it clearly does. We all know the feeling we get when what seems to be a cut and paste, cookie cutter type email lands in our inbox. Use the persons name you are communicating with. This is such obvious advice that I feel embarrassed to type it. But the temptation to go nuts with the many tools that are available and blast out a message at the push of a button, tempts the link builder to not have to bother with the social norms of communicating and hope that the scatter gun tactic works. Just as long as the trigger is pulled enough times. The opposite of blasting out the message is one of building relationships with people, but this can also becomes less effective as people enjoy connecting and chatting, forgetting that the point of the exercise is to get the link. But building relationships with people can be very powerful, and the way to be efficient in your communication is to be self aware of when too much chat, is too much. I sometimes note that people put the word “expert” in their Twitter bios. Without any other social proof all this really tells us is that they know how to spell the word “expert”. We base our opinion of someone on the activity they do and what others say about them. It’s the same with outreach, to be effective you must show you can be trusted and show that you care. And if you want to make an impression that you know what you are doing you must show that you are capable. Simply telling the people, “I am an expert in making tiramisu, does not make you an expert tiramisu expert. “I have an amazing opportunity for you to inform your readers of our awesome product launch”. “We are super excited to share the awesome news that you can now blog about our amazing service”. And on and on it goes, you can fill a whole blog post with examples of this kind of nonsense. And I have to resist coming back to the sender with some snarky remark as I know they are being told to do this by their PR boss who has just nipped out for another two hour lunch with a client. Offer something real, if it’s a guest post offer, show them the links and social success that your last offering got and make sure that you will not only Tweet about your own guest post but their next few blog posts. Be nice, be generous. What does amaze me is that people are so stingy with their social shares as if people lose something, in reality it’s the opposite. People respond positively to those who are seen to share. 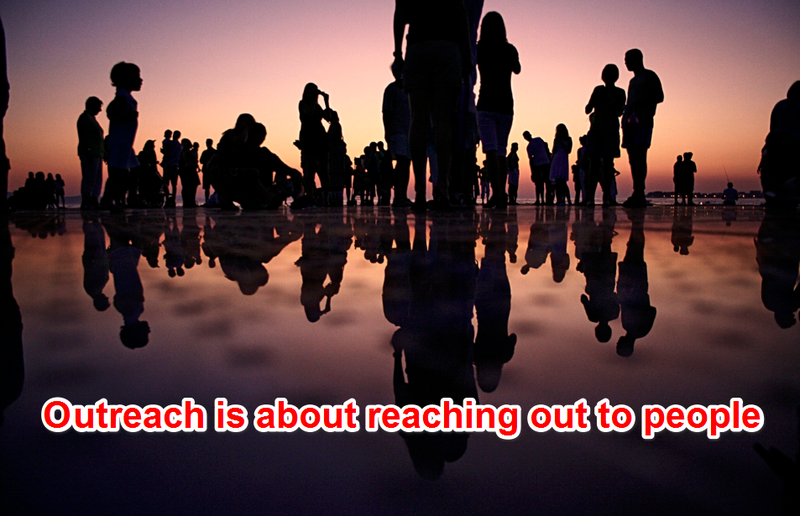 Outreach is simple, but it must be done right and it must be done a lot. This means that a highly capable person must be employed to implement. Especially if communication is going back and forth with the person you are trying to influence. I occasionally reply for further information when being outreached to and am shocked at the inept replies I get back. This is usually because the initial outreach was templated and sent out blindly and the reply is being dealt with by a poorly trained worker. This is why outreach is boring, because you have to have intelligent, socially aware, trained experts to reply to further communication. Rarely does the initial outreach result in a win. Which is why you need a follow up plan. Of course if your plan is to mass blast as many as possible and go for the numbers, this is not important. But for brands of value this is not an option. I have being doing outreach, before it was called outreach. The earliest I can think of was in 1999, when I ran a celebrity stock marketing game online and was building links to it with a picture I took of Julia Roberts. She was making the movie, Notting Hill at the time and my street was in it so I created a lot of original content. The key is communication and persuasion, if you get that right, success will follow. I offer an outreach service to promote content, I also offer training to help your team become better. Get in touch if you want to get more results.